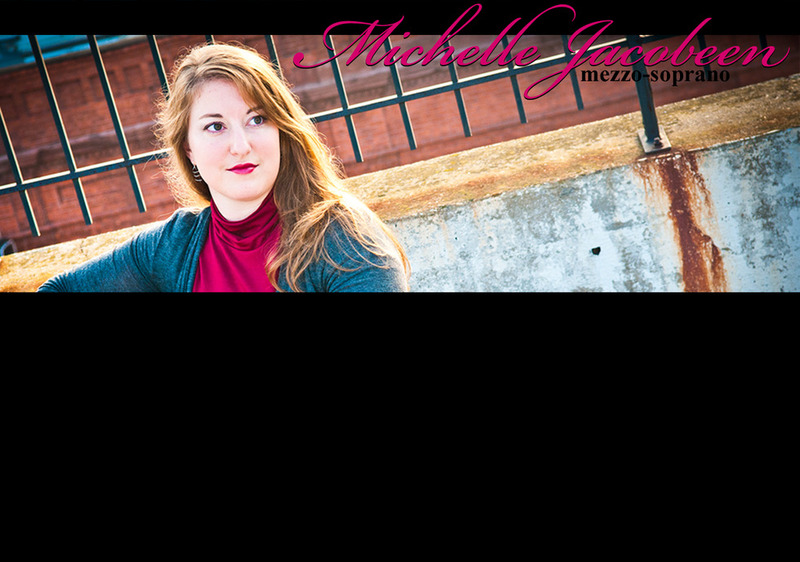 Michelle Jacobeen is a gifted and versatile mezzo-soprano who received a Bachelor's in Music with a Major in Musical Theater from The Catholic University of America, Benjamin T. Rome School of Music. She has studied voice and acting with Carol Schuster Yunkunis, Jane Pesci-Townsend and Thomas Pedersen. Strong classical vocal technique has allowed Michelle to develop her large vocal range and the ability to sing in a variety of styles. She has also attended the London Dramatic Academy in an intensive acting program and trained with some of the most respected performers, directors, and choreographers in London. Some of her training includes private acting tutorials, Stanislavski acting technique, Shakespeare performance and analysis, Alexander technique, stage combat, unarmed combat, speech, voice, foreign dialects, physical theater, movement, acrobatics, and historical dance. Michelle has also had master classes with famed performers such as Dame Judi Dench, Dame Maggie Smith, and Brian Stokes Mitchell. She currently teaches voice and acting lessons from her studio in Alexandria, Virginia. Michelle enjoys working with all levels of experience and finds great joy in helping others improve their talents. She is a member of the National Association of Teachers of Singing (NATS). In addition to private coaching and instruction, Michelle has taught in several area programs including John Robert Powers Acting & Modeling School (JRP) in Baltimore, MD, and Creative Kids at Imagination Stage in Bethesda, MD. In these programs, Michelle taught groups of young students acting and auditioning classes and gave private monologue coaching. Michelle has experience performing in a wide variety of settings. She has been a soloist for various choirs and churches, jazz bands, weddings, and funerals. Michelle has extensive a cappella experience as a group leader, singer, and arranger. She has also performed in many area musicals and operas including Sweeney Todd, Man of La Mancha (Moorish dancer), Damn Yankees (Meg), Guys and Dolls (Adelaide), Me and My Girl (Lady Jacqueline), Jesus Christ Superstar (Veronica), The Secret Garden (Mrs. Winthrop), Bernstein’s Mass (Kennedy Center Opera House), and Waging Peace: Souvenirs (Soloist, Millennium Stage, Kennedy Center). Michelle also performs with "Voice, Wind, and Lyre", a vocal, flute and harp trio. In her spare time, Michelle enjoys boating, wake boarding, board games, photography, playing volleyball, and spending time with her husband.